Tim Pedersen, PT, is the owner of Synergy Physical Therapy in Fairhaven, Massachusetts. He can be reached at Tpedersen6@comcast.net. Locations: Fairhaven, Massachusetts. 10 employees. Synergy Physical Therapy has been open for 5 years. 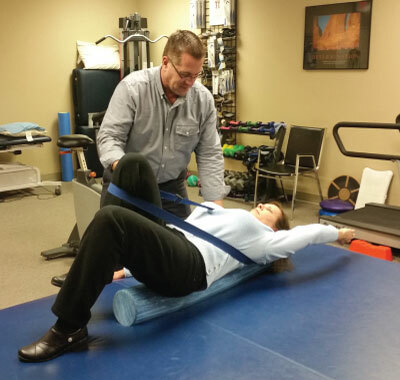 Tim Pedersen has been practicing physical therapy for 25 years this year. What or who is the most influential book/person/event that enhanced your professional career? There have been so many wonderful people throughout the years who have influenced, taught, encouraged, and guided me. I do not know if I have said this publicly before but Diane Cordeiro was one of my first supervisors and has been a friend and wonderful mentor for most of my professional career. She provides a benchmark that I aspire to emulate. Clifton Greenwood showed me what it means to truly care for the people that work for you. What is the flow of your average day? I get in at 7 a.m. and open the office and take care of reviewing the clinic schedule, complete any paperwork, and usually begin treating at 8 a.m. I take some time each afternoon just before lunch to follow up on emails and other business matters. I enjoy treating patients so I do a lot of treatment hours each week. After five years I am starting to carve some time to work out more regularly in the evenings and prioritize my time a bit more. How would you describe your essential business philosophy? My philosophy is to provide the best personal service to our clients. They should never feel like they could be doing their clinical program without us. A patient needs to feel that their time is well spent, that they are not just one body among many, and that we care about them. Even an unsuccessful course of therapy is a win for us if they feel that we listened to them, educated them, and did as much for them as we could. What have been your best/worst/toughest decisions? The tough decisions are when to hire additional staff and when to fire staff. Show compassion in every daily interaction and things generally run smoothly, but you have to know when to cut the cord or be disciplinary and that is not always easy. I think the toughest thing to do is to manage the balance between my clinical time, administrative time, and personal time. How do you motivate your employees? I motivate my employees by seeking their advice and opinions on what directions we should take, what equipment they want, and what training and education is important to them. I also motivate them by showing them that I value their time and their opinion in what we do. Our staff is very important to me and I want them to feel like a family team so that they are each vested in each other’s success as well as the clinic’s success. How did you get your start in private practice? I had always wanted my own practice. I had been a manager for many years, then started and grew an outpatient practice for another organization. While I loved them, it was not mine and was never going to be. A clinic closed in my town and I saw it as an opportunity. After a lot of planning, projecting, and discussion with my wife, I decided to move ahead. She was teaching Zumba so we saw it as an opportunity to provide additional exposure for the new clinic. We wrote a lot of clinic names on scraps of paper and napkins but ultimately fell in love with Synergy, which is defined in the Merriam-Webster Dictionary as “the cooperative effort of two entities to achieve a more successful or productive result”—the patient and the therapist, the therapy and the fitness work together to achieve better health. It seemed to fit. How do you stay ahead of the competition? We are constantly learning and striving to provide the most individual therapy programs. We do a lot of learning. We place the emphasis on our patients and we make sure that our communication to the physicians is short, clear, and concise to show that we value their time. What have been your best learning experiences (mistakes) since the inception of your practice? Every day is a learning experience. I have been involved in running a clinic for many years but still learn new things about contracting, billing, and running the practice all of the time. I think that Rick Gawenda’s seminar on outpatient therapy Current Procedural Terminology (CPT) Coding, Billing, and Documentation was a great resource for keeping us set up for compliance. 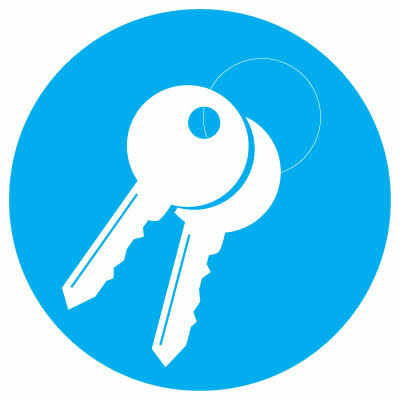 What are the benefits of Private Practice Section (PPS) membership to your practice? I love getting each issue of Impact, which keeps me up to date on changes within the profession, insurance issues, and management. It gives me some focus on running my practice. PPS membership provides me with networking opportunities that help me run and grow my practice. What is your life motto? Love, learn, enjoy your family, and never ever be afraid of hard work. What worries you about the future of private practice physical therapy/what are you optimistic about? I am very optimistic about the future of Direct Access and the autonomy of the physical therapy practice. What are some new opportunities you plan to pursue in the next year? We are evaluating electronic health records/electronic medical records (EHR/EMRs) and are hoping to increase our involvement in the community. Over the course of my career, I have had numerous discussions about how to define and message what private practice physical therapy is. Why is it that physicians, nurses, and dentists can easily define what they do, while physical therapists often offer a long-winded and simultaneously vague explanation? How can we expect the public to understand the value of our services—and our role in health care—if we continue to have difficulty defining it? With this in mind, I am delighted to share the happenings of the Private Practice Section (PPS) Marketing and Public Relations Committee. The committee’s objective is to provide marketing and public relations educational programming and tools for individual members to implement within their communities and with their local media. The committee wants to encourage a grassroots effort where members have the tools and the confidence to comfortably promote their practices and ultimately improve the public’s understanding of what we offer. This year, a number of this committee’s initiatives have come to fruition. After two years of work, “The Fit Factor” has been launched. This interactive, online survey will increase consumers’ awareness of the scope of private practice physical therapy, drive people to local private practices, and provide a fun opportunity for people to benchmark where their physical health is compared to the rest of the population. Webinars will educate members about how this tool can be used in their promotional campaigns. And this is only the beginning; the Fit Factor website and collateral materials, including educational videos and newsletters, will continue to evolve. Simultaneously (and in answer to numerous member requests), marketing gurus Lynn Steffes and Scott Wick are producing a wonderful series of videos covering things you need to know when planning your marketing, such as budgeting. They will cover areas such as internal, referral source, consumer, community, and outreach marketing. This series will ensure all members have a basic understanding of marketing and public relations and will improve results when utilizing the tools our committee develops. This year, we are also excited to offer our membership professionally written monthly press releases. Previously, these press releases were available only to our media corps, a group of 100 practice owners around the country involved with our committee’s public relations campaign. Finally, we want to hear about your success stories. How did you gain new patients from the Fit Factor? Was your press release picked up? Which of our new marketing strategies resulted in success? Sharing your stories will help other members and strengthen our profession in these changing times. I am grateful for the leadership of the outgoing chair Don Levine who has developed a committee of dedicated, knowledgeable, and experienced members. I would like to thank Scott Wick, Erica Meloe, and Jessica McKinney for continuing to serve on the committee, and I want to welcome our new members Darren Rodia and Jessica Burchett. We look forward to working together to effectively promote private practice physical therapy—and to help us all speak to our integral role in the health care landscape. As we analyze the best therapy businesses in the country, we are seeing more and more staff therapists becoming “owners” within the companies in which they work. This is a great strategy to retain your most valuable asset—your clinical staff. The challenge is to make sure that you structure these relationships in order to align your interests with your therapist partners, and to protect the parent company from potential legal issues in the future. The most common form of partnership, if your state laws allow it, is to create a separate Limited Liability Corporation (LLC) in which the parent company becomes the majority owner, and the staff therapist becomes a minority owner. Be sure that ownership is purchased and never given away, and that the resources that are being provided by the parent company are properly valued and paid for by the newly formed company. These partnerships become a great way to build value in your company and create a strong foundation for future growth. As an undergraduate student in the sciences, I deliberated for months on whether I should pursue postgraduate studies in molecular biology or physical therapy. I finally concluded that the physical therapy profession embodied my three primary passions and work skills as a researcher, a teacher, and a coach. Now, 15 years later, with over a decade of experience in the field, I would add a fourth role to the list: innovator. Innovation, in its various forms, has been the cornerstone of advancing the fields of medicine and science for years. We could literally cite thousands of historical examples in which great leaders overcame adversity to drive society forward. Thomas Edison, an archetypal innovative figure in U.S. history, encountered numerous obstacles on his road to groundbreaking inventions. Comfort breeds shortsightedness. Contrarily, adversity and discomfort can serve to broaden awareness; they drive the search for better solutions. Innovation, at its best, is systematic implementation of a new solution to an existing problem. In my opinion, there are two main aspects of the current health care climate that make running a private practice feel adverse: (1) the current reimbursement-dictated revenue paradigm, and (2) the potential dilution and misrepresentation of therapeutic language among the broader fitness industry. To quote Impact contributor Janet Lanham, RN and revenue cycle management expert, “In the old days (like the 1990s), you opened an office, saw patients, submitted a claim, and got paid. Easy!” That is definitely not the case today. With Medicare implementation of Sustainable Growth Rate (SGR), Correct Coding Initiative (CCI), and Physician Quality Reporting System (PQRS) requirements, we have seen subsequent reductions in reimbursement rates, an obvious challenge to clinic revenue and survival. On top of the reimbursement challenges, we are confronted with growing competition from other health care and fitness industry professionals. We live in a constant inundation of fitness information on the web, in social media, and printed in health magazines. This leads to the potential dilution, misrepresentation, or misuse of the therapeutic terminology and treatment approaches we use. I personally find this unnerving and overwhelming. It is no wonder many private practice physical therapists echo concern over the potential encroachment on our profession. Innovative concepts previously discussed include the implementation of clinic wellness programs, the growth of physical therapist–directed corporate employee health programs, and the development of physical therapy mastermind groups as collaborative problem-solving entities. I think we can take these innovative concepts even further to delineate our leadership as health care entrepreneurs. I believe we have the clinical knowledge and expertise to grab the lead in designing exercise products, developing sports-specific functional exercise programs, and collaborating with the tech world to pioneer new ways of streamlining nonproductive or nonreimbursable workload. An increased focus on tangible innovative tools will only strengthen our foothold in the health care industry and likely lessen our reliance on the current reimbursement-dictated revenue paradigm. A good example of a physical therapist taking the innovative lead to design and patent a new exercise tool for physical therapists and other fitness professionals is the founder of CoreAlign, Jonathan Hoffman. Throughout his career, he worked as the head physical therapist for several European professional basketball teams, Israeli basketball and tennis national teams, and for the Association of Tennis Professionals. Inspired by his own athletic challenges and work in hospital rehabilitation and sports team settings, he created the CoreAlign device in 2004. The device encourages vertical posture for the majority of movement patterns. Many of the exercises promote core stability with functional movement patterns. The method was then transferred to Balanced Body, Inc., from California. Since then, together with the Balanced Body international team Jonathan has been teaching the method to movement-based professionals on an international level. From my own experiences as an ultrarunner, a competitor, and a physical therapist, I have developed a specific set of training tools and running programs for runners participating in multiday running events. My approach involves a focus on injury prevention and awareness, which I believe separates my expertise from that of a personal trainer. I periodically travel to work as an onsite physical therapist for off-road multiday running events. In my last work experience in Iceland, I was impressed by how many runners needed physical therapy management and post-race recommendations for a variety of true clinical diagnoses including sciatica, metatarsalgia, posterior tibialis tendonitis, and piriformis syndrome. This reconfirmed to me that the off-road niche is indeed an appropriate place for a physical therapist to offer clinical expertise and knowledge. In local settings, I have heard private-pay clients state that they would prefer to work with a physical therapist for recurring care instead of using insurance or working with a personal trainer because of the complexity of their medical situation their medical complexity and need for focused multisystem care. This level of expertise is similar to when a client lacks a patellar tendon or undergoes a tracheotomy and needs to be working with a practitioner who has a higher level of medical background and biomechanical analysis. Innovation, at its heart, is true leadership. It is being at the helm, steering a ship into unknown waters, embracing unexpected adversity and change today for a better tomorrow. Most physical therapists are in the profession because they have passion for movement, connect well with people, and truly care about making a difference. In the current unstable health care climate, we have an excellent opportunity to act as great leaders, driving change through systematic innovation. As exemplified by systematic innovators such as Thomas Edison and Steve Jobs, great leaders implement change by clearly defining problems, identifying the highest priority issues, and assessing what is known and what needs to be discovered in order to render change. 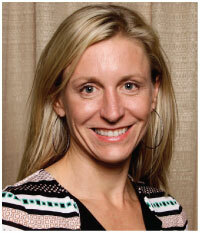 Susan Nowell, PT, DPT, is a PPS member and founder of Endurellect Physical Therapy. She can be reached at sunowell@gmail.com.